A Memorial Mass will be held at 2:00 pm on February 23, 2019 in the Sunrise Chapel at Walters Funeral Home for Christopher "Todd" Bertrand, who passed away January 23, 2019 due to complications following cardiac arrest. Rev. Hampton Davis, Pastor of Our Lady Queen of Peace Church, will be the celebrant of the mass. Lectors are Donald Bertrand, Carly Bertrand and Camille Bertrand. Visitation of family and friends of Todd will begin at 1:00 pm and continue until the service. Todd had a pure, sweet and generous heart. He loved his entire family like no other. He was kind to animals and enjoyed fishing with his friend Steve Latil; his nephew Mike Lorch and other friends would go with him. He had a terrific sense of humor and lived his life to the fullest. Todd especially liked cooking crawfish etouffee for his Mississippi family. He is missed by many and leaves behind a family that cherishes his memory. Survivors include his three sons, Christopher Todd (Chris) Bertrand, Jr. and wife Kelly Rose of Cairo, Miss., Victor Milam and wife Hope of Belmont, Miss., and Allen Michael Bridges and wife Megan of Tishomingo, Miss. ; former wife and mother of his children, Polly Milam of Iuka, Miss. ; one sister, Mary Sandra (Sandy) Bertrand and her former husband, Fredrick C. Blanchard of Cypress, Tex. ; three brothers, Daniel H. (Dan) Bertrand and wife Sophie B. of Albuquerque, New Mex. ; Donald L. (Don) Bertrand and wife Camille Domingue Bertrand of Lafayette, and Russell (Rusty) Bertrand of Lafayette; nine grandchildren, Allie, Karson, Allana, Bryson, Kaison, and Ni-Klaus Bertrand of Cairo, Miss., Abigail Milam of Belmont, Miss., and Ayden and Easton Bridges of Tishomingo, Miss. ; and numerous nieces and nephews, including Amy Blanchard Lorch and her husband Michael of Cypress, Tex., who was more like a sister than a niece. Todd was preceded in death by his parents, Lucien C. Bertrand, Jr. and Dorothy H. Bertrand; and one brother, William F. (Bill) Bertrand, Sr. 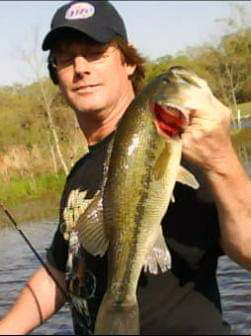 He is sadly missed by friends in the Bass Fishing Fools Club in Waller, Texas.